Pastry has always been a challenge for me. This year I've faced my fear of it yet again but this time with a little help from Delia and Nigella and it turned out really well. With all that food about at christmas the larger mince pies can be just too much with a belly full of turnkey and pudding which is why these little mini organic christmas mince pies are so brilliant. The picture on the left are the pies I made for the unveiling of the Live advent window at our SoOrganic Greenwich store. 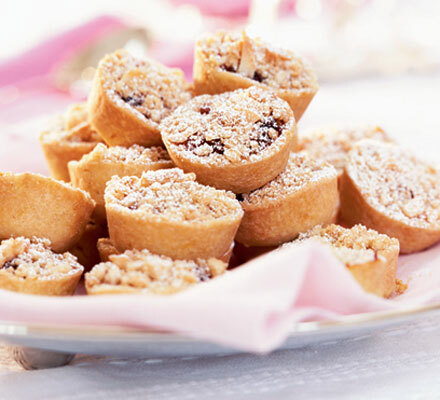 This recipe (courtesy of Delia with a few mini changes) makes 36 mini mince pies. Pre-heat the oven to gas mark 6, 400°F (200°C). Make up the pastry by sifting the flour and salt into a mixing bowl and rubbing the fats into it until the mixture resembles fine crumbs. Then add just enough cold water to mix to a dough that leaves the bowl clean. Leave the pastry to rest in a polythene bag in the refrigerator for 20-30 minutes, then roll half of it out as thinly as possible and cut it into two dozen 3 inch (7.5 cm) rounds, gathering up the scraps and re-rolling. Then do the same with the other half of the pastry, this time using the 2½ inch (6 cm) cutter. Now grease mini patty tins lightly and line them with the larger rounds. Fill these with mincemeat to the level of the edges of the pastry. Dampen the edges of the smaller rounds of pastry with water and press them lightly into position to form lids, sealing the edges. Brush each one with milk and make three snips in the tops with a pair of scissors. Bake near the top of the oven for 25-30 minutes until light golden brown. Cool on a wire tray and sprinkle with icing sugar. When cool, store in an airtight container.